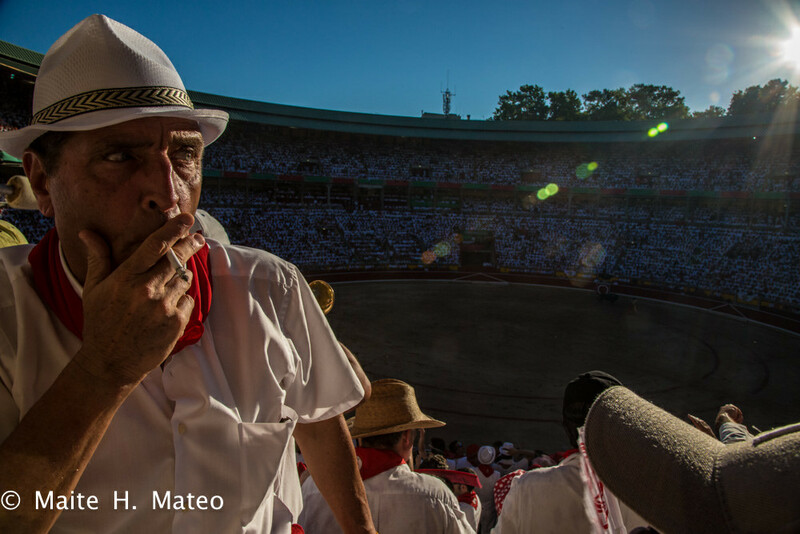 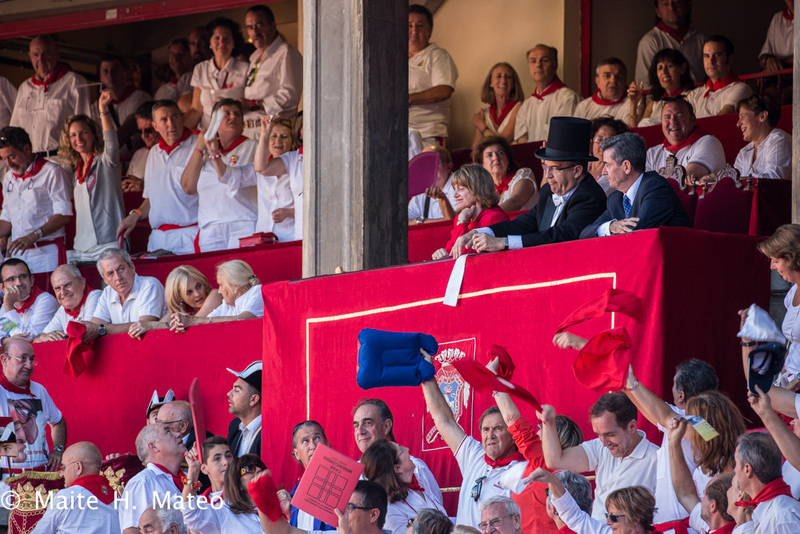 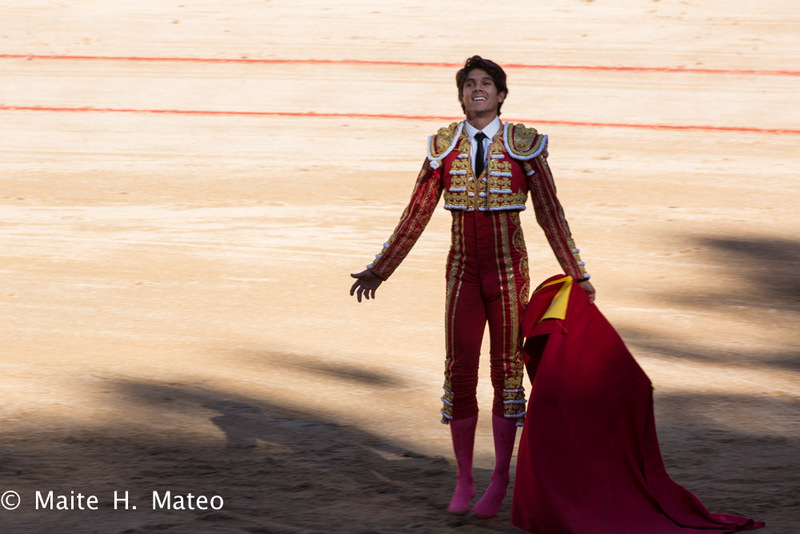 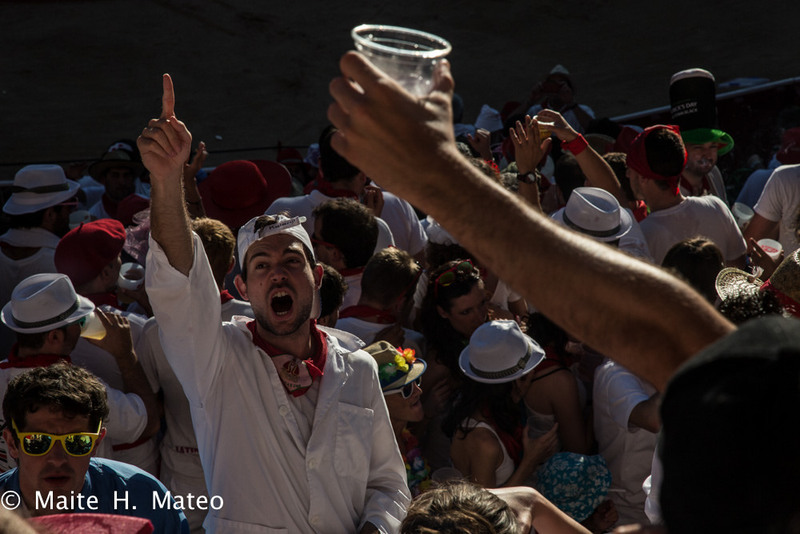 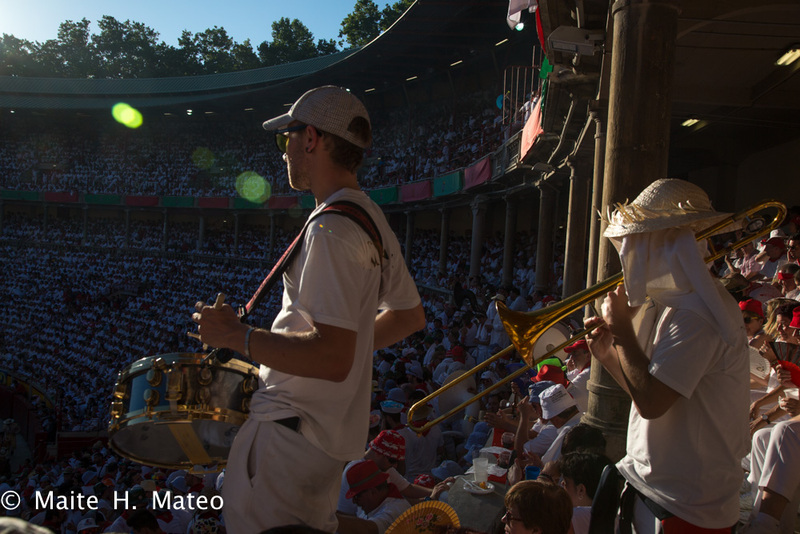 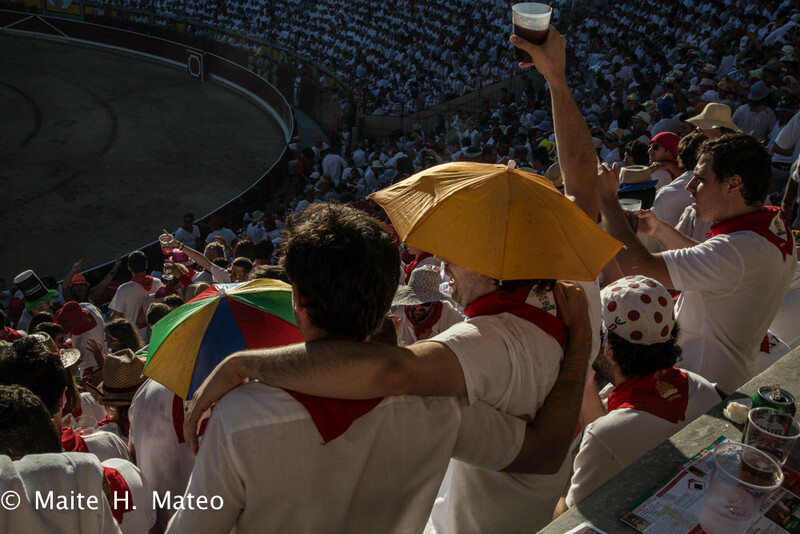 The third day of bullfighting in the Sanfermin Feria del Toro week, began at a crescendo – two ears with the first two bulls – a bit of a sweetener, but that is how it usually is in Pamplona- only to quickly decline with the next four Victoriano bulls, which made it impossible for the bullfighters to shine or achieve anything in the way of trophies. 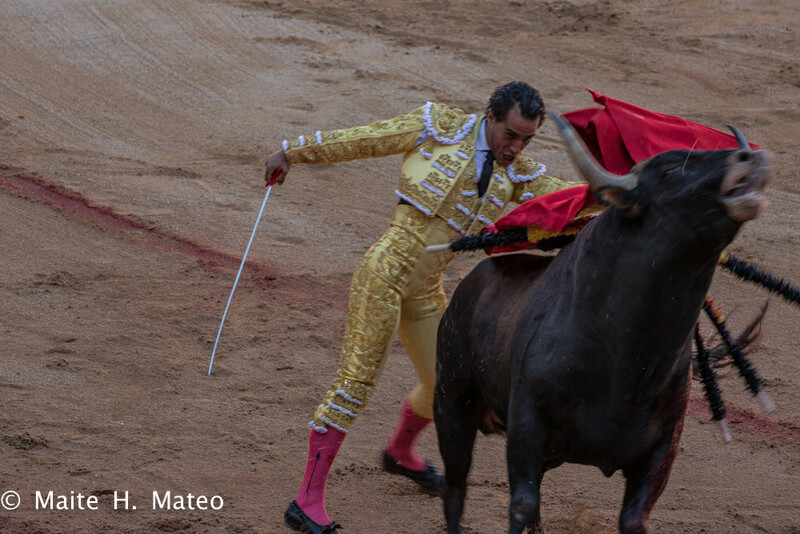 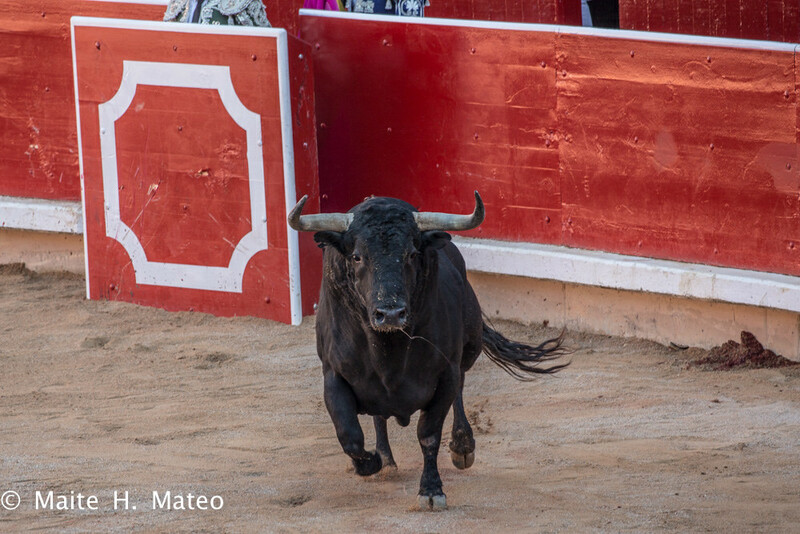 The two early ears were for Sebastián Castella and Iván Fandiño, who made the most from getting the two best bulls early to win an ear apiece from these first bulls. 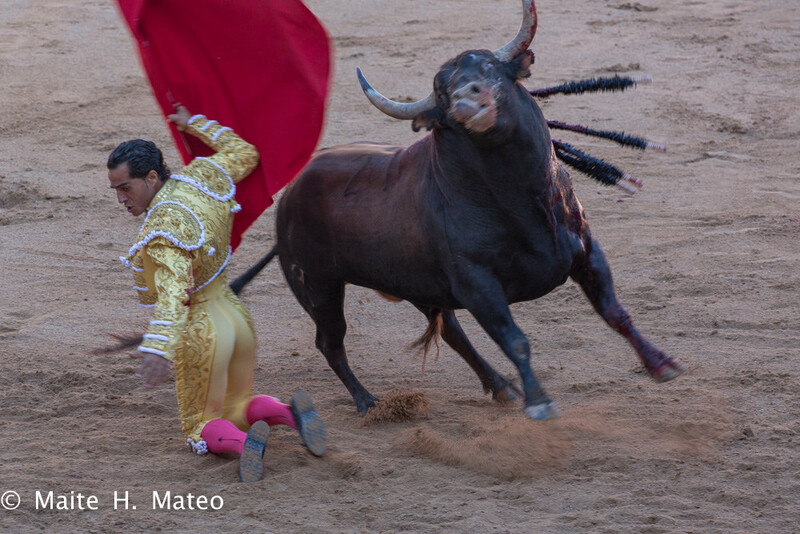 The worst affected was Alejandro Talavante, who could only extract a good pass or two from the third bull of the afternoon, while the sixth one is best forgotten altogether. 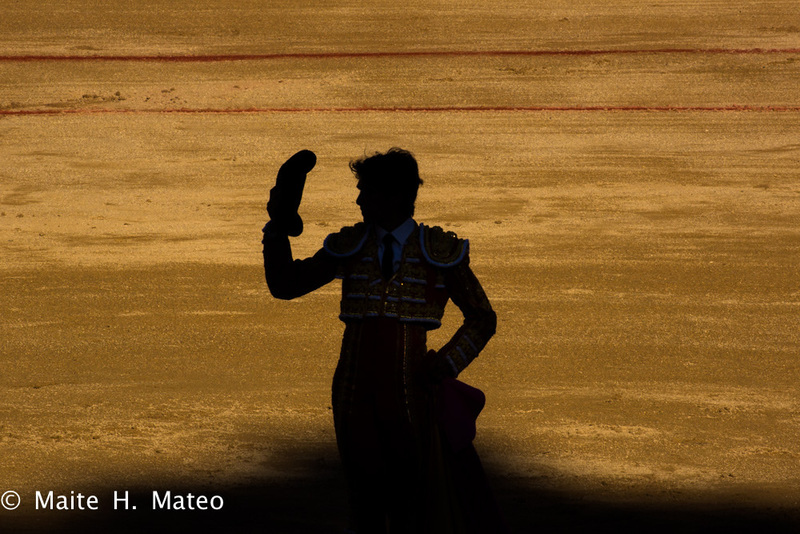 Complete silence for the toreadors, because, in the stands on the sunny side, there is always noise but silence can also be a form of communication.